Here in mid-Michigan winter was late to arrive but has certainly made its presence felt in the last several weeks. However, from Minnesota to Ontario I’ve been fielding questions since mid-December on ice cover on putting greens and what should or should not be done. 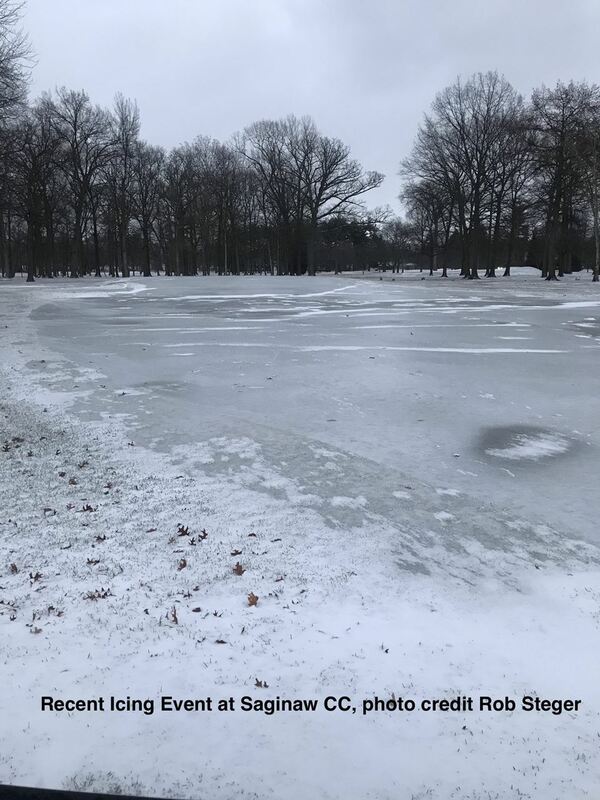 This winter has been characterized by drastic swings in temperatures that have resulted in numerous melting and refreezing events and there have been ice storms mixed in for good measure that greeted some superintendents upon returning from the Golf Industry Show in San Diego. As we approach the middle of February there is both good and bad to be recognized with this date. The key question for anyone dealing with ice is when did you start your ice clock? 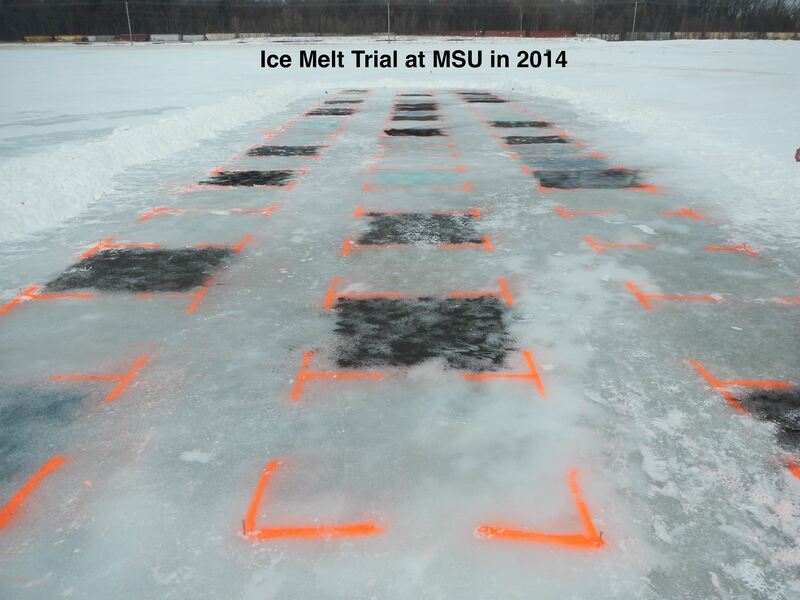 Many superintendents vividly remember the winter of 2013-2014 that resulted in thick ice sheets remaining in place for up to 80 days in some locations (http://msue.anr.msu.edu/news/what_lies_beneath_ice). That winter produced ice on putting greens the first week of January and it never melted until March, which resulted in death from anoxia (suffocation). Remember, estimates of days of ice cover causing death for annual bluegrass range from 45-90 days and 120 days for creeping bentgrass. Just last year some locations in northern Minnesota suffered over 150 days of ice cover that killed not only annual bluegrass but also creeping bentgrass. So when did your clock start? If your ice clock only recently started I would have minimal concern in most areas as it is likely Mother Nature will “help the melt” before you reach 30-45 days of ice cover. If your ice clock started in early December and cover has been constant, then the turf is in the danger zone of life/death and it’s probably time to consider removal strategies. 1. 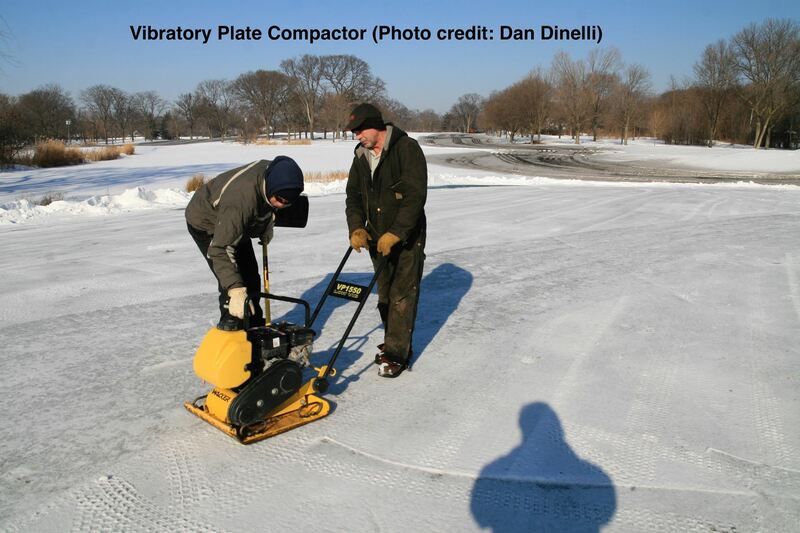 Sampling – there’s a great YouTube video from Bob Vavrek of the USGA http://tinyurl.com/k9mbfjc on how to sample greens under ice to assess survival. An important point that Bob makes is that there is variability in sampling and just because your sample comes out alive doesn’t mean all areas on the green will survive – same can be said if your sample is dead. 2. Duration of ice cover – as discussed in the previous section, estimates of days of ice cover causing death vary from 45-90 for Poa annua and 120 days for creeping bentgrass. Check your ice clock and proceed accordingly. 3. Temperatures and sunshine – Check your local forecast for temperatures and hopefully sunshine that will facilitate ice removal and melt. Part of the concern with removing ice is exposing the turf to cold air temperatures after being insulated with snow and ice for long periods of time. In the past some superintendents have removed ice and then recovered the greens with snow to provide insulation against cold temperatures. 4. Physical ice removal – physical ice removal includes practices to fracture the ice with impact (hammers, chisels, aerifiers, slicers) and then remove the fractured ice sheet with shovels, tractors, or skid steers. Avoid direct impact with tools such as hammers, I’ve seen superintendents use a vibratory tamp with good results as it minimizes direct impact when shattering the ice. There’s always some risk associated with impact related ice removal but the alternative of leaving ice in place and rolling the dice on survival is also risky. 5. Melting ice – there are many different products that have been used to melt ice including black sand, dark colored natural organic fertilizers, sunflower seeds, and fertilizers. The key to any melting strategy is to be able to remove the water from the green following melting so it doesn’t refreeze and form another ice sheet. Hollman et al. (2017) published an article on the ‘Effects of De-Icing Products on Putting Green Turf’. The results indicated that urea-based chemicals have the potential to severely damage turfgrass when applied to snow/ice free turf in early March. We applied these same treatments at MSU in 2014 to an ice covered putting green but were unable to assess turfgrass injury as all the turfgrass was dead by the time the ice receded. A YouTube vide of this trial is available at https://www.youtube.com/watch?v=wKK0QYUCIks. My simple message to selection of melt materials is keep in mind that whatever you apply will ultimately end up on the turf. If you don’t feel comfortable applying it to turf that should tell you something about applying it to ice. 6. Labor – if you’re going to remove ice you need help. Ice removal is not a 1-person job. If your golf course has 18 greens covered in ice even with several employees helping this is not going to be finished in 1 day. 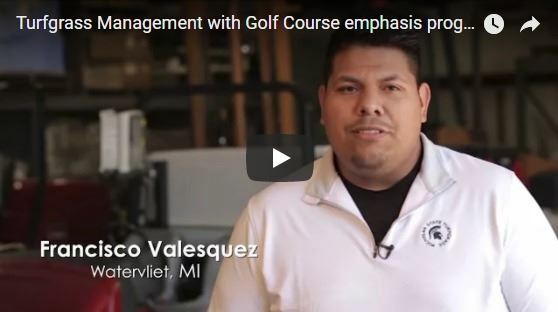 "The mission of the Foundation is to work in partnership with Michigan State University, supporting ongoing programs in research, education, and extension in the area of professional turfgrass management that will benefit all individuals who manage turfgrasses or derive pleasure from the results of such management." 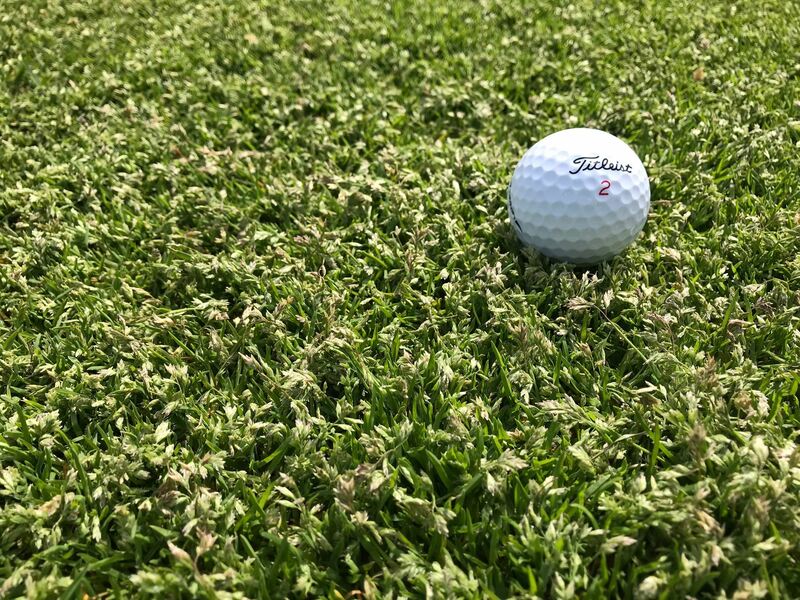 We are 1/3rd into July, hardly the dog days of summer, and dry hot weather is resulting in stressed turfgrass which too often leads to human stress. At this point I would like to remind you that rolling, in place of mowing, helps retain turfgrass health and soil moisture. All the way back in 1996, with the aid of MTF funding, MSU discovered that maintaining a frequent rolling program on putting greens decreased localized dry spot (LDS). 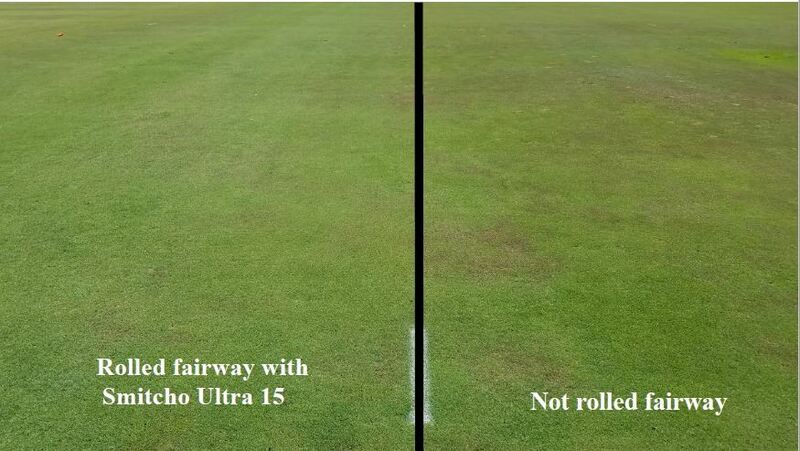 This summer, on plots measuring 20' x 195', on a Smithco Ultra 15 fairway rolling study current results indicate rolled plots average 6 times less LDS. I will keep you posted as the season progresses and invite you to attend Field Day at the Hancock Turfgrass Research Center and check out the plots for yourself. 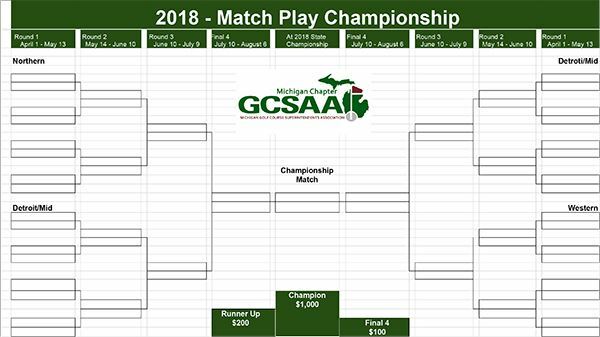 I want to take the opportunity every few months to let you know what the MTF is working on and doing for the Turfgrass Community in Michigan. We have a very active and dedicated board with several thoughtful concepts and many undertakings. Numerous have already been accomplished and others are in the process of being implemented. Here are a few bullet points of our activity. Tee Times 4 Turf will end Sunday May 13 at 8:00pm It is the MTF’s largest Fund Raising effort during the year. 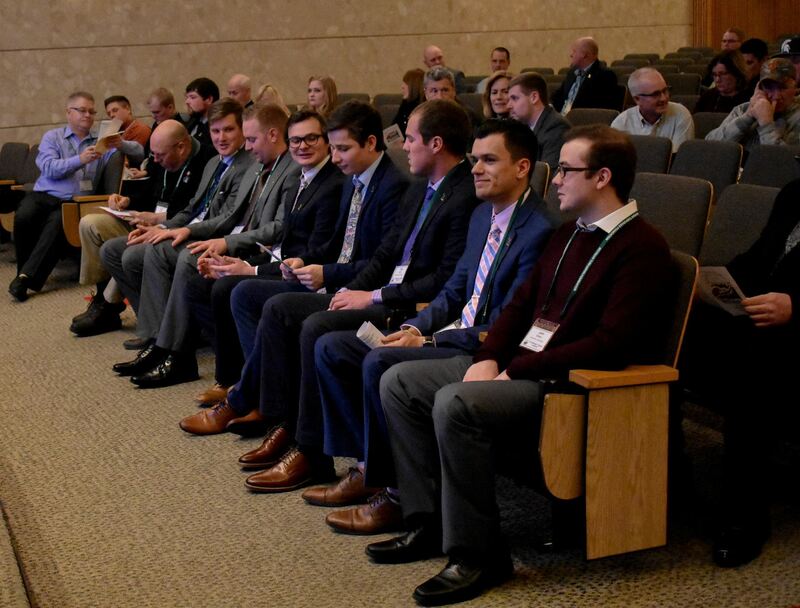 We appreciate all those that donated their course and we are pleased to acknowledge that the number of courses willing to donate were significantly higher than last year! 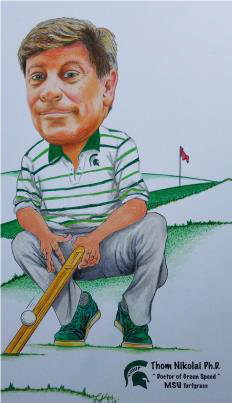 Auction proceeds go directly to support the research at MSU by our Turf Team. All Board members participated in soliciting clubs to support this event. Thank you to those who support this event! The Research Committee has been very active this spring with the turf team. The following is a link to the current research going on at MSU. **A little known fact about researching funding- all the funding for turfgrass research projects at MSU is raised thru grants, donations, sponsorships. The department does not provide support funding for professors research projects. The Gordon LaFontaine Golf Outing: Registration will soon be underway. The date: June 21st at The Coyote Preserve Golf Club. Hope you may be able to attend / or be a sponsor. Founders Committee: Recently approved funding for some technology upgrades at the Hancock Turf Research Center. Thank you for your support! Membership committee: has been hard at work over the past 6 months to correct information and get a mailing out for membership renewal. Thank you to those who once again have renewed your membership. 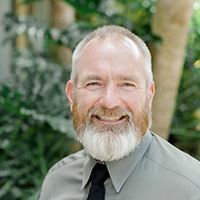 Finally, the MTF would like to congratulate Jesse Scholl on his new position at the Hancock Turf Research Center as the Farm Manager. Jesse replaces Mark Collins who retired this year after decades of caring for the HTRC. We are very happy for Jesse and his new position. We would also like to thank Mark for all his years of caring for the Facility. The MTF looks forward to supporting Jesse for many years to come. 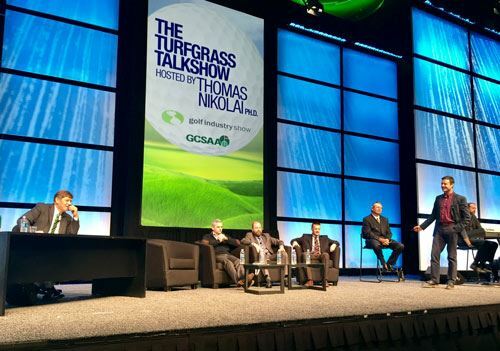 The Michigan Turfgrass Foundation goal is to provide our members with research information and we encourage those with comments and suggestions to please contact us. 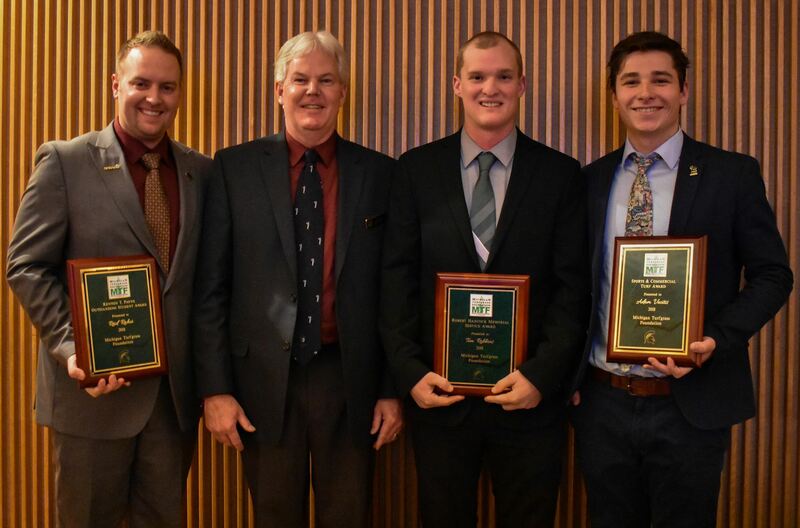 Congratulations to all student scholarship winners from the 2018 Michigan Turfgrass Conference. 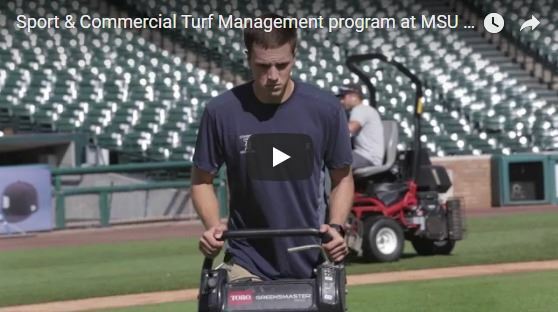 What's Happening at the MSU Turfgrass Programs! 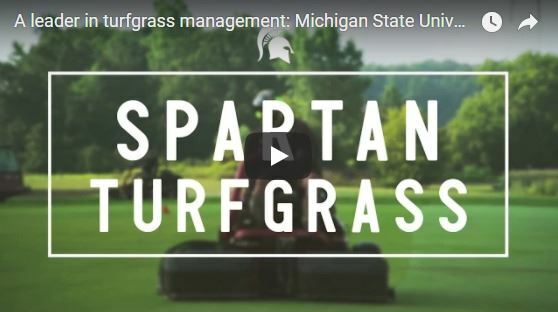 Please take a moment to view what is going on at the MSU Turfgrass Program. Thanks to Dr. Trey Rogers for providing us with this material. It seems that August and September switched places this year as September delivered record setting heat and generally a lack of precipitation. High temperature records were shattered across many areas of Michigan from September 21-26 when in the Lansing area and throughout of most of the lower peninsula of Michigan high temperatures exceeded 90 degrees. Combined with the high temperatures, many areas of the lower peninsula are still under or near drought conditions. Although forecasts indicate temperatures should be moderating, the National Weather Service Climate Prediction Center is forecasting above average temperatures over the next three months. 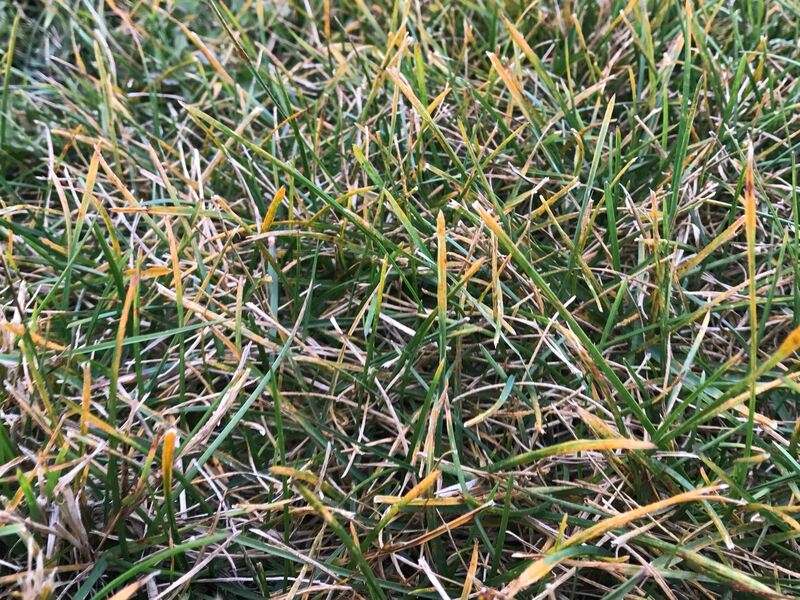 The combination of warm, dry weather has created some interesting challenges for fall turf management. Fall is one of the best times to treat difficult to control broadleaf weeds such as ground ivy, wild violet, dandelion, and white clover. 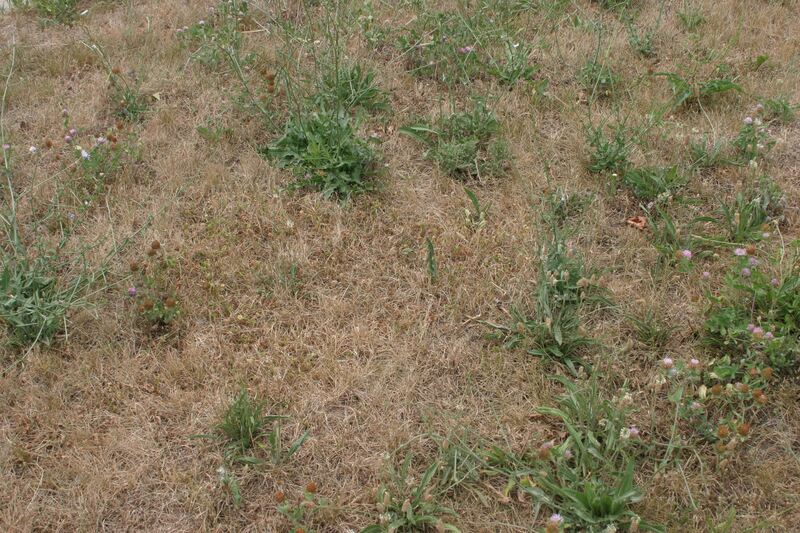 Weeds that have endured droughty conditions may be weak and burning down the above-ground foliage with a contact herbicide in addition to a translocating herbicide will help in control this fall. Some contact, ”burn down”, active ingredients (a.i.) include carfentrazone, sulfentrazone, pyraflufen. Traditional translocating a.i. (2,4-D, MCPP, dicamba, triclopyr, clopyralid, fluroxypyr, quinclorac, etc.) move into a targeted weed quickly after application, and then move with sugars to an active site where it kills the weed. If the weed isn’t growing due to drought or high temperatures then the herbicide cannot effectively move to the active site in the weed. Although a contact or “burn down” a.i. doesn’t move to an active site, it does disrupt the membrane of the plant, which only requires that it be applied to the surface of the plant. The recommendation for herbicide applications during this dry fall is to attempt to hedge your bets by applying a herbicide that mixes systemic (translocating) active ingredients with a contact (burndown) a.i. (e.g. products include SpeedZone, 4-Speed XT, RedZone, Surge, SureZone, etc.). The translocating a.i. have at least a chance to move to the active site, while the contact will provide some extra burndown, which is not dependent on the growth of the weeds in unirrigated sites. 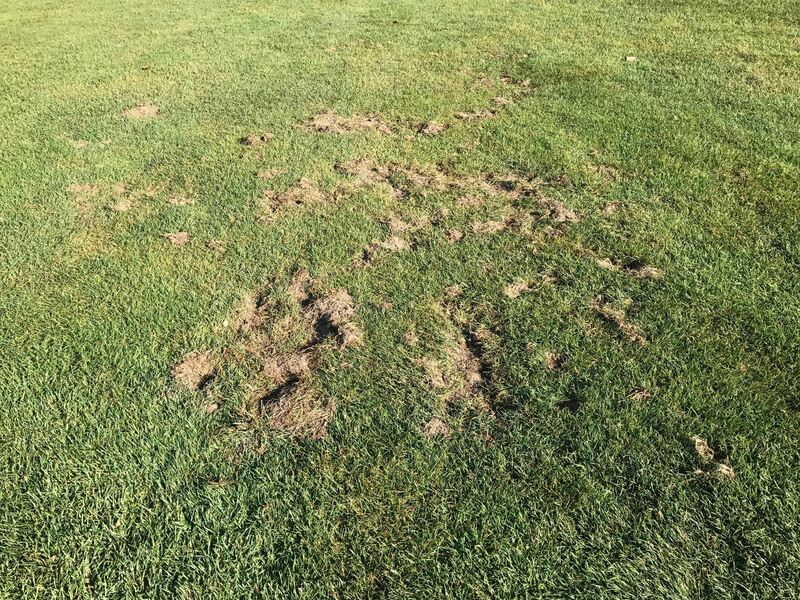 On golf courses there have been many cases of Waitea patch occurring from late summer through early fall. 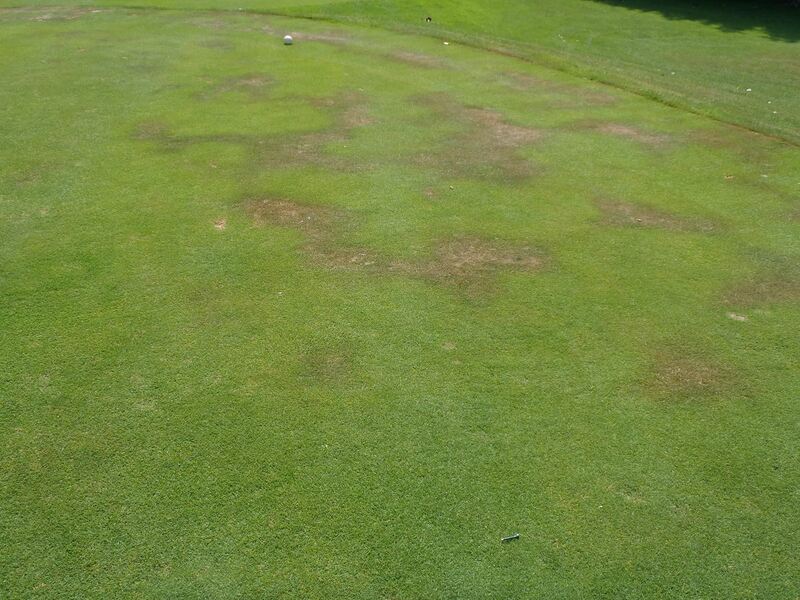 Waitea patch is caused by Rhizoctonia zeae and any of the good brown patch fungicides will help to manage it. However, chlorothalonil is not very effective in controlling Waitea patch. Again this year as summer wound down and fall arrived, resistance raised its ugly head again. Similar to last year the Vargas lab has been receiving calls about fungicides providing only 7 days control of dollar spot. This is called quantitative resistance, which shows up as a shorting of the interval of control compared to the qualitative resistance where the fungicide no longer works at all at any interval. Fungicide resistance is becoming more prevalent in Michigan and golf course superintendents need to be aware of resistance and adjust fungicide application schedules accordingly. Unfortunately, resistance results in shorter intervals between fungicide applications, an increase in number of applications, and increased cost from additional fungicide applications. Rust has become very prevalent this fall, especially in un-irrigated areas. Rust diseases are characterized by yellow to dark brown urediospore infestations that, from a distance, make turf stands appear orange or yellow. As a general rule in almost all cases, rust is considered a cosmetic turfgrass disease that, although it may discolor the turf, will not result in widespread turfgrass death. 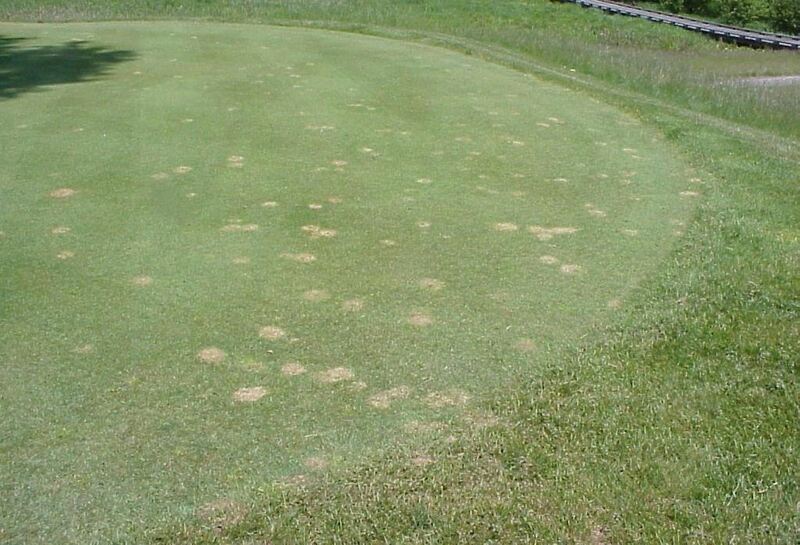 Fungicides are not usually recommended for control, precipitation and a fertilizer application to stimulate growth will help the turf recover from rust infestations. Similar to the issue with weed control in un-irrigated turf, fertilizer applications may require special considerations. I’d proceed with any scheduled October fertilizer applications in irrigated, growing turf as planned. However, for drought stressed dormant turf, unless the fertilizer is primarily slow release I would wait until rainfall returns and growth resumes before making an application. 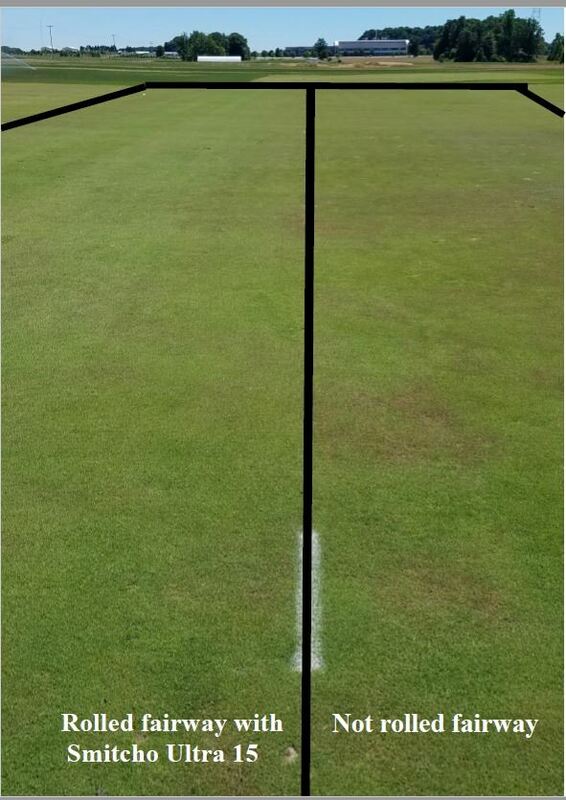 Fast release sources such as urea that are applied to dry, dormant turf could result in high gaseous volatility losses. Stabilized urea fertilizers contain a urease inhibitor to suppress volatilization and would be beneficial. However, even if you plan on using these products I’d probably wait until some precipitation returns to stimulate turf growth before making an application. In the last three years Japanese beetle has spread further into the thumb area, up to Houghton Lake and Pinconning on the eastern side of the state, and up to Traverse City on the western side. All of these areas are seeing new turf damage from Japanese beetle grubs as the skunks and raccoons dig turf to find them. 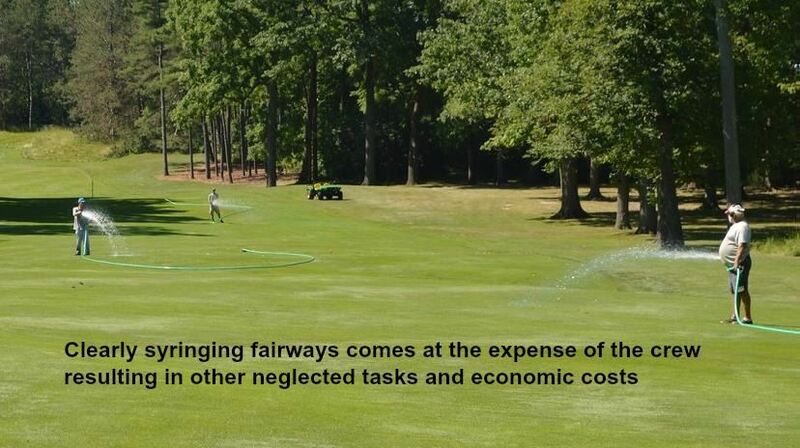 This includes golf course, home lawns and sod farms. During fall, Sevin or Dylox can be used to control Japanese beetle and European chafer grubs in turf. Sevin should only be used if the soil pH is less than 7.8. New research on the pathogen we introduced to control Japanese beetle indicates that infestations of Japanese beetle in Kalamazoo, Battle Creek and much of the greater Detroit area have declined by 75% as the pathogen built-up from 2001 to 2016. We are now distributing infected beetles to the rest of the state. European crane fly populations have built-up to damage levels in much of the greater Detroit and Grand Rapids areas, with a big emergence of crane flies reported by many in late September, 2017. After leatherjackets are found October treatments can be made to prevent most of the crane fly damage expected in late October and next April and May. October treatment options include insecticides with the following a.i. : bifenthrin, carbaryl, chlorantraniliprole, imidacloprid, and trichlorfon. It’s already been a crazy weather year with unusually warm temperatures in February followed by more seasonable temperatures in March and excessive rainfall in April and May. June has started nicely but the forecast in the next week is going to leave not only us but the turf feeling oppressed with high temperatures forecast in the high 80’s and low 90’s combined with high humidity. Here are some simple reminders as the heat ramps up this weekend. For the most part irrigation systems have been resting this year as Mother Nature has blessed us with cool temperatures and adequate rainfall. Everyone has certainly used their irrigation system by this point in the year but it might not be a bad idea to go out and actually observe the system operating in critical areas. Any inefficiencies, misaligned, or malfunctioning heads may have been disguised by rainfall to this point but that will not be the case in the next week. Areas that reveal poor irrigation coverage first are typically edges of fairways, banks of greens, tees, and bunkers, and the rough. Many of these areas are also high traffic areas that are subject to another stress, compaction. In an effort to compensate for poor irrigation coverage and improve water management, hand watering is commonplace on golf courses. In Michigan, we are accustomed to syringing greens during periods of drought but usually not fairways. Dr. Vargas has reminded me that in Mediterranean climates like southern Europe where it does not rain from the middle of May until the middle of September and the temperatures are in the 90’s every day, the superintendent will usually have 3 or more people assigned every day to syringe fairways. When we have similar conditions it may become necessary to syringe fairways, we’re not necessarily talking about the hose crew but rather a short irrigation cycle. It is commonly perceived that noon is the warmest part of the day, when in reality it is often later in the day around 4 to 6 p.m. Syringing late in the afternoon might make the difference this year between healthy, heat stressed turf. Heat tracks will be an issue on home lawns and golf courses. 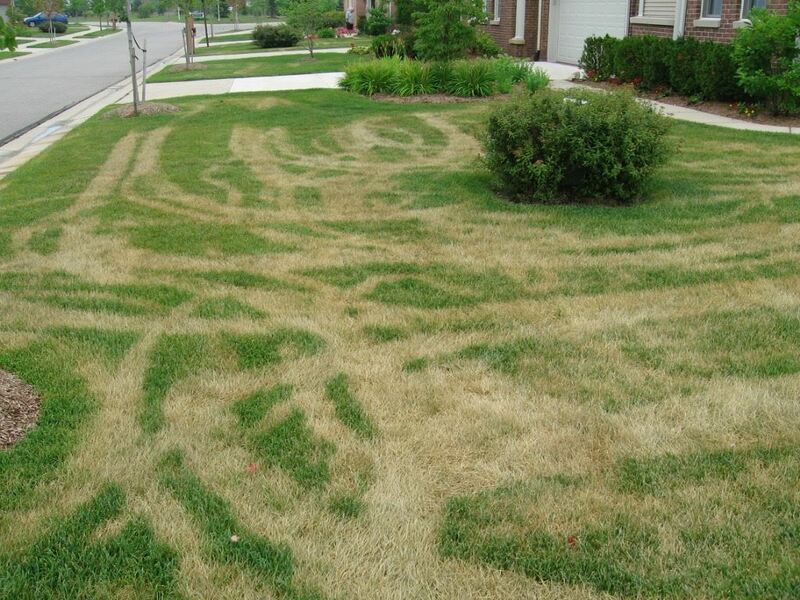 Anytime you put traffic from a cart, mower, or spreader on turf that is nearing the wilting point or has already wilted, you will likely see a track in the following days or week. If possible, avoid mowing during the heat of the afternoon. 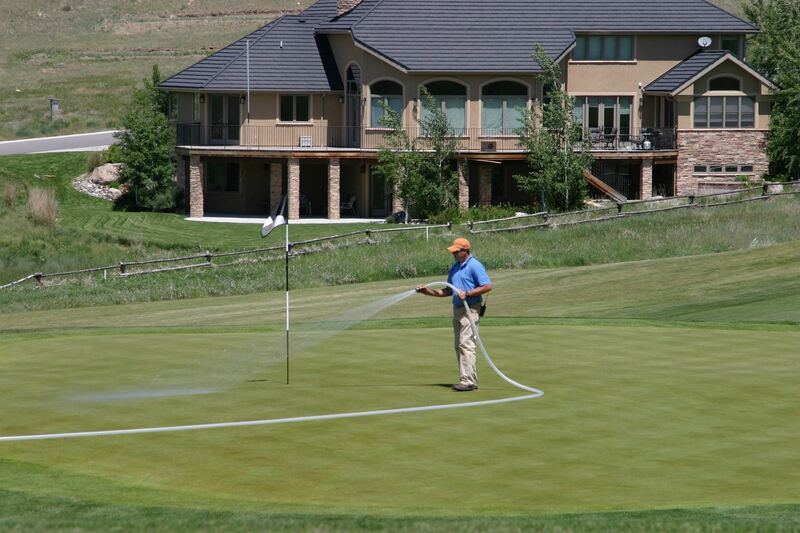 Wetting agents are critical tools in the arsenal for alleviating localized dry spot but even with wetting agents hand watering may be necessary if it stays hot and dry. High temperatures will be accompanied by high humidity and warm night-time temperatures. Conditions may become favorable for dollar spot, brown patch and even Pythium blight. Most superintendents treat for dollar spot and brown patch on a regular basis. Pythium blight is not normally treated for on a regular basis in Michigan but when day time high temperatures are in the 90’s and night temperatures above 70°F following a rain, chances are optimal for a Pythium blight outbreak. If caught in time, the turf should recover from the dollar spot, brown patch and Pythium blight, which are primarily foliar diseases. Crown rot anthracnose (CRA) can also be a problem in the warm weather on annual bluegrass greens especially if the warm weather is accompanied by excess moisture from frequent rains. Wide spread resistant of Colletotrichum cereale, the CRA fungus, to the benzimidazole and the Qo I fungicides has been reported. Alternative fungicide chemistries should used to control CRA. Adequate nitrogen fertility is also necessary the control this disease. Summer patch is becoming an ever-increasing problem. The early 65 and 75-degree models for scheduling fungicide applications that worked so well for so many years have not worked that well recently in our research trials. We are now suggesting fungicide applications the first of June, July, and August. The products of choice should be the DMI fungicides and they should be watered into the top inch of the turf where the elongated crown of the turfgrass plant is. If you can keep the crown of the plant healthy the plant will survive no matter how many roots become infected. Just a reminder to keep your self hydrated during the hot weather. There are bound to be some long days and if you’re acclimated to temps in the 60’s and 70’s, temps in the 90’s may cause us to wilt as much as the turf.